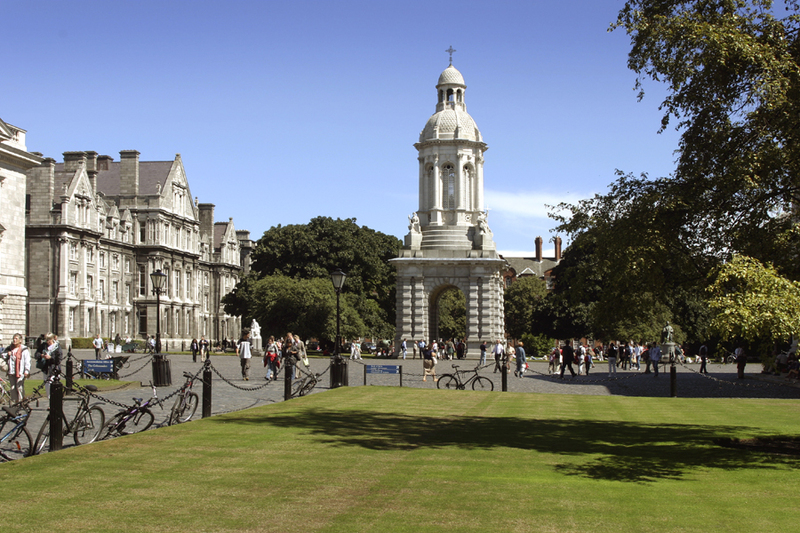 What is College like for mature students in Trinity? Look around – between the frazzled 18 and 19-year-old first years fresh out of the Leaving Cert, still trying to find their footing and manage College life, and the 22-year-old fourth years who are now anxious to move on from Trinity and explore life beyond Front Square, you will see a frequently overlooked and undervalued population within the undergraduate community: the mature students. According to Trinity’s website, “a mature student is any person over 23 years of age on the 1st of January in the year of application,” who is pursuing an undergraduate degree. With that being said, Catherine O’Brien, the Mature Student Project Officer, stated that “the fastest-growing segment of our matures are those aged 55-56, who are finally in a position to pursue their college dreams”. Trinity, in an effort to create a diverse student population, looks towards mature students as a valuable asset within the College community, as O’Brien highlights: “The perspectives and life experience that mature students bring are valued, and any lecturer will tell you that mature students enhance the discussion in the classroom – they are able to speak up, are organised, and committed.” For many “traditional” undergraduate students, the value of mature students is unfortunately lost in the hustle and bustle, as well as the exclusivity of the College social sphere. When asked about what led her to Trinity, Rachel Merriman, a second year Sociology and Social Policy student, and the TCDSU Mature Student Officer, explained that she “had no intentions of coming back to College” after having played in a band from the age of 15 and moving to the US to pursue a professional music career. Eventually, when she moved back to Ireland in 2012, she enrolled in classes at an Adult Education Centre and was assigned a nursing course. Reflecting on the experience – her personal dislike for nursing, but the joy she found in being a student – Merriman said: “I knew that I always wanted to help people, but didn’t necessarily want to do it from the healthcare aspect, so that’s what led me to Sociology and Social Policy,” adding that, “throughout my life I always volunteered, and music and volunteering were the two things that I really enjoyed and was passionate about”. Social Policy and Sociology, she feels, have characteristics of and require skills derived from both of her passions. As for her experience as a mature student, Merriman sees many positives in life at Trinity, such as her lecturers and classmates, but she points out that “Trinity as a whole is geared towards the typical student and not mature students,” arguing that this becomes “really evident with a lot of the supports that are available”. Merriman cites the fact that the late publication of class and exam schedules places enormous stress on parents and guardians who must organise childcare in a last-minute situation. Even for those who are able to secure childcare for the majority of the term, there are periods in the academic year where Trinity’s term may not line up with childcare. In her academic career thus far, Merriman has had to, on occasion, bring her children into College due to scheduling issues, in addition to having to miss lectures to tend to them. “They’re really small,” she explained, “they bring everything home”. Nicole Bennett, a third year student, also in Sociology and Social Policy, had similar sentiments regarding how she felt within the student population at Trinity. “I certainly felt welcomed by the wonderful mature student community here at Trinity, but it wasn’t always that easy,” Bennett said. “Most of my younger classmates wouldn’t talk to me unless I talked to them, and then [the conversations] were purely about College.” For Bennett, it took joining the Mature Student Society to finally feel welcome at Trinity, as she was able to find other students who are in similar situations as herself. Society life, Bennett stated, “can be really tough to get involved with (…) as [younger students] look at you like you are their Mam or Dad”. At Trinity, Bennett has personally witnessed traditional students making comments that are potentially alienating for mature students. During a conversation with two mature students who have children, one traditional student said, unknowingly, that it would be “weird” if anyone in college had kids. For individuals who may already be apprehensive about returning to school, poor reception, alienating comments, and exclusive actions from the student body can be even more off-putting. Prior attending Trinity, Bennett worked in a bank. She took a Post Leaving Certificate (PLC) course in Coláiste Dhúlaigh, but barely passed due to having to prioritise her job over her studies in light of the recession. Eventually, Bennett was employed by AIB, but was fired due to departmental over-hiring. “I then decided,” Bennett stated, “that I needed to go back to college, no matter what the cost, and finally put my education before everything else.” She took an access course at the Dublin Institute of Technology, and eventually landed at Trinity. “The journey was not easy,” said Bennett. “I was broke, literally, and I really struggled to make ends meet, but I am here now and in a much more comfortable position than when I started.” For students like Bennett and Merriman, who faced obstacles in their paths to Trinity, they continue to deal with the difficulties of a college that is logistically set up for traditional students. For younger mature students, who are closer in age to the traditional student, the experience at Trinity is very different. First year Geoscience and Geography student Eanna McAtamney has managed to get involved with the typical student body at Trinity through societies like Joly Soc, despite spending his first term trying to get back into the swing of his studies. McAtamney’s path to Trinity included spending ten years as chef. He travelled the world, and spent time in Australia, London, and Bali, among other places. Eventually, McAtamney realised that he either had to start his own restaurant or go back to school. In a position where he could not feasibly establish a restaurant, McAtamney decided to commit to his interest in oceans, ending up as a Geoscience and Geography student. Much like any first year student, McAtamney does not know what he wants to do after college and often changes his mind.